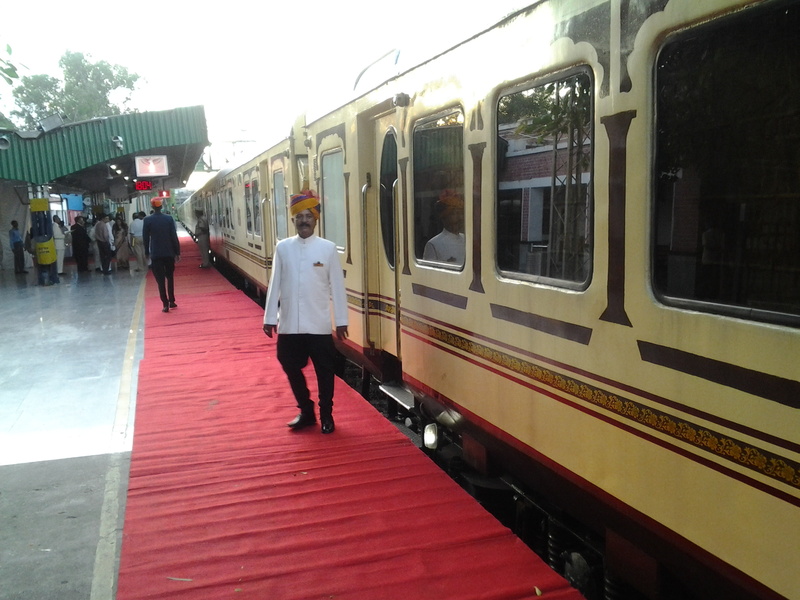 A passport to palace on wheels! Rajasthan Tourism Development Corporation Limited (RTDC), have started a innovative experiment in the world-famous luxury train Palace on Wheels for tourists. A passport size diary has provided to the every travelling tourist in Place on Wheels. The diary included traveller’s name and photo along with entire trip details (itinerary) are printed. The diary will be like a “memento’’ for the tourists who travelling in luxury train. This diary was designed like a passport. It is being planned to include menu and other useful stuff in this diary in future. Main purpose of this “passport” in Palace on Wheels is giving a special VVIP identity to the tourist. RTDC is also planning to implement this diary service in super deluxe train ‘ROYAL RAJASTHAN ON WHEELS’, which will be rolled on from October 6 of this year. RTDC is also planning to propose the tariff of the train in Indian currency so that these royal trains could attract more domestic tourists.